The Faxon ARAK-21® is a gas piston actuated, complete upper receiver assembly designed to seamlessly interface with the standard AR-15 platform. The total extent of the interface is simply the take down pin, and the pivot pin. The new ARAK-21® upper receiver offers you all its features with no change to your current lower receiver and can be installed in less than one minute with no tools. The Barrel Assembly Unit is comprised of the barrel, gas block, muzzle brake, gas piston, gas adjuster, and barrel trunnion. The only removable part of this assembly is the gas adjuster knob. The gas adjuster knob has 4 settings. Three of the settings allow different gas flows for optimum operation, and one setting blocks the gas flow for a single shot operation. The upper receiver includes the charging block, standard charging handle, lower forearm with screws, three aluminum full length picatinny rails, three insulating shims, bolt carrier assembly, lower recoil lug with spring guide rod, and dual recoil spring system. Along with your new ARAK-21® upper receiver you will receive your owners manual, and two hex key wrenches that will fit the screws that attach the lower forearm, and the front picatinny rails. The Faxon ARAK 21 7.62x39 upper receiver is fully machined from an aircraft grade 6061-T6 aluminum billet in a one piece design that incorporates a full length picatinny rail (Mil-STD-1913) on the top and three additional rails on the muzzle end of the receiver, making it a full M4 style quad rail upper. The top picatinny rail is laser engraved for optic placement. There are also half-length picatinny rails available. 12 ½” length upper is available in 5.56, heavy profile. 16” and 20” length upper’s are available in both the 5.56 and 300 Blackout. There are two profiles to choose from, medium and heavy. Barrel Assembly Units can be interchanged in less than 3 minutes by removing the (6) captive screws on the bottom rail using the enclosed hex key wrench. Many aftermarket “light” triggers will not reliably ignite 7.62x39 surplus ammunition. 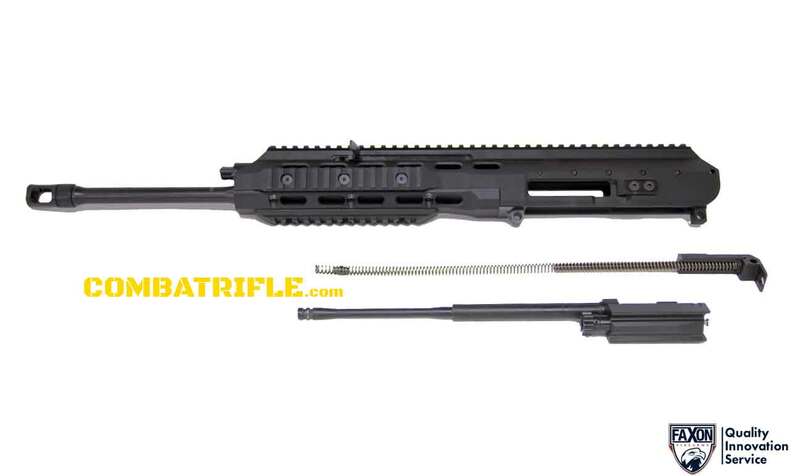 A spring is included and installed on XRS rifles ordered with the caliber. 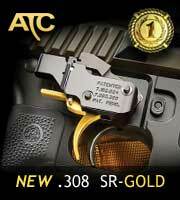 It is sold separately for the upper or caliber kit only. The standard ARAK-21 upper receiver with a 16″ medium barrel weights in at 5.5 lbs. Pencil barrels remove .3 lbs and heavy barrels increase the weight .3 lbs. Uppers equipped with 12.5″ medium barrels weigh approximately 5 lbs. Heavy 20″ barrels increase the base weight approximately .5 lbs. Due the fixed gas system length of the ARAK 21 platform and variability of 300 Blackout subsonic ammunition, a suppressor is required for reliable function with the 300 Blackout upper using subsonic ammunition and supersonic on the 12.5″ barrel.